Lemon Detox: Do you need it? ‘Tis the season of cleanses, detoxes and kick starter diets. There’s only 53 days to Christmas! Are you bikini ready? I loathe this expression; your diet and weight should be all about your health and wellbeing – nothing about clothes. On positive note I have started Christmas shopping and I’ve got some healthy gift guides coming your way next week! With summer near and time closing in on healthy weight goal deadlines I understand why quick drastic diet measures are appealing. You’ve seen it before – drinking a cup of hot water with lemon first thing in the morning will rev up your metabolism for the day and detox your body.Or the lemon detox diet that replaces food entirely with an exotic palm sugar, lemon and cayenne pepper diluted with water for 10 days. You’ve probably also noticed juice cleanses too where you replace food with fruit and veg juice for 3, 7 or 10 days. Luckily for you, I’m here to save you some money and hard work because they’re all BS. Yup, all of them. There is no good evidence that any drinking any cleanse or detox will make you any healthier. Just writing about them is making me feel tired and hungry. How does a lemon detox work? Detoxification removes toxic substances from the body. Luckily for us our skin, lungs, digestive system, liver and kidneys are continuously detoxifying our bodies by filtering and eleminating the nasties. You can give your body a hand by eating plenty of plant foods to keep your nutritient intake up and drinking plenty of water. Adding Lemon to your water doesn’t do any more than water alone. If putting lemon in your makes you drink more water though, keep doing it. Try seasonal fruit and save some pennies. Drinking your water cold would be nicer and is more likely to have a positive effect on metabolism than hot water. Detox programs, supplements, lemon in hot water, apple cider vinegar and juice cleanses don’t actually do anything to remove toxins from your body. What I find strange about detox programs, is they don’t actually tell you which toxin they’re supposed to be getting rid of. But they continue to be promoted, bought and consumed. 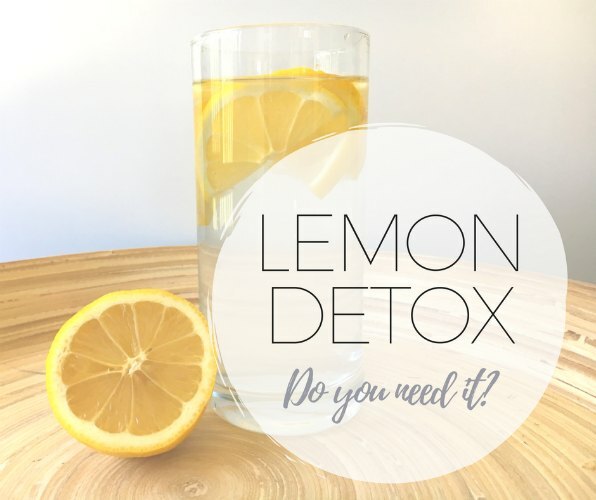 If you needed to detox it would be from high intakes of heavy metals, drugs or alcohol and you would not be reading this blog or googling a lemon detox diet. Our digestive system, kidneys, and liver are amazing at detoxifying the body. Even if you have been eating a lot of takeaway, drinking too much alcohol and burning the candle at both ends – there’s no need for a special detox, cleanse or juice diet*. The best thing you can do to undo a poor lifestyle is to stop putting the bad things in and get moving. You can’t undo stubbing your toe but you could stop kicking the desk so it doesn’t get worse. You’ve probably heard someone (or someone who knows someone) singing the praises of a detox diet. Weight loss, glowing hair and skin, feeling energetic and full of life. But I doubt it had nothing to do with the choice of cleanse – they stopped eating crap, drinking alcohol and maybe started going to bed a bit earlier to make a morning yoga class. That’s going to make you feel great, not a liquid diet. Weight loss might result from not eating real food as you’ve created a kilojoule deficit. The effect is unlikely to last once you start eating normally again. And as you are now missing out on vital nutrients you are unlikely to be any healthier for putting yourself through a week of hell. I think it’s the kick-starter approach that makes these plans appealing (besides all of the false promised). You’re ready, you want results and you feel like you’ll do anything for them. These programs might make you stop drinking alcohol and eating highly processed foods which is a good thing – but what are you going to do once the detox ends? You haven’t built any healthy habits. They are expensive. The Lemon detox diet would cost you $87 a week and a home-delivered 3 day juice cleanse will cost you $90. I could give you a balanced, nutritious meal plan that would feed you food for a week for $90. If used innapropriately they could cause you to become very unwell or cause lasting damage. A healthy adult doing a 3 day fast is unlikely to come to any harm as long as they stay well hydrated. Detox and cleanse programs are dangerous for children and adolsecents, anyone with a chronic disease such as diabetes or high blood pressure or anyone taking medications that need to be taken with food. 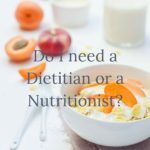 There aren’t any decent studies that show a benefit for these types of short-term diets and they’re doing nothing for your long term health. Why are they so popular if they don’t work? Unfortunately, the diet and detox industry is big bucks. So these heavily marketed products that make it into mainstream health space are speaking very loudely to a wide audience. As consumers, we’re looking for a quick fix. We’re motivated by the promises, claims and fake (or biased) testimonials provided by the companies of what these programs can deliver. Even if we weren’t looking for this type of product, seeing their claims is alluring. So these results are been seen and believed by more people than the advice from your trusty university educated health professional. 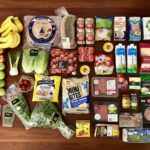 The healthy lifestyle guidelines we all know deep down aren’t very exciting and don’t promise you the world in a week. But they’re evidence based, they work and they will take care of your short term and long term health and wellbeing goals. What can you do to kick start your health and weight loss in time for summer? Move more and eat better. Make some healthy eating and moving goals – check out the dietary and physical activity guidelines for inspiration. Then start moving more and eating more plants. Drink more water and eat less processed and packaged foods. Reduce your screen time, get some more sleep and cut down (or out) alcohol. *All fruit juices, even your $10 detox cold pressed juice with kale and cucumber) actually count as free or added sugars and should be limited to less than 6 teaspoons a day. A 600ml green juice has at least 4 teaspoons.